Trust us -- it matters. Do you agonize over your LinkedIn picture? Do you dread the moment someone asks for a professional photo? There’s good reason: That picture really does matter. 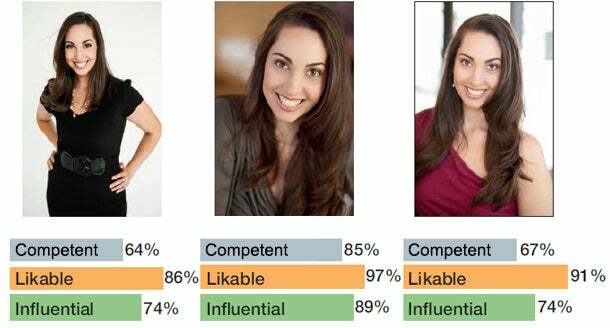 A study published in the journal Psychological Science found that different pictures of the same person produce radically different impressions. And according to one of the researchers, Alexander Todorov, we judge new faces online after only 100 milliseconds -- about how long it takes for a hummingbird to flap its wings once. It gets worse: Those snap judgments are often correct! Researcher Sarah Sloat had people guess someone’s personality traits based on their Facebook profile picture. Participants accurately guessed an average of nine out of 10 traits. That means our pictures give off all kinds of signals about us -- our personality, our competence and our likability. Picking the right one is key -- and it may not be what you expect. To understand this, let’s take a look at three photos Entrepreneur’s editor in chief, Jason Feifer, has used on social media. 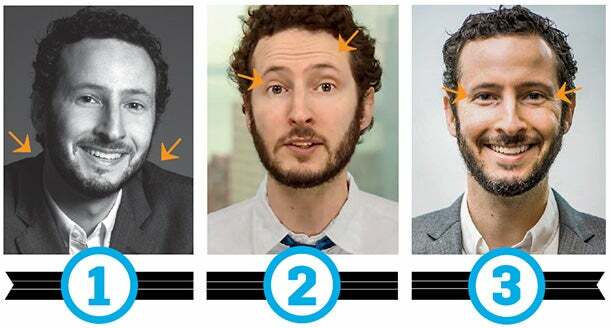 Take a guess -- which of these, according to research, makes for the best LinkedIn photo? 1. You might think it’s this one. It’s not. Look at how close his shoulders are to his head. When we get nervous, we turtle our shoulders up toward our ears, which makes us look small and anxious. You’re much better off with a picture that makes you look like a winner -- relaxed shoulders and your head held high. 2. Feifer thought this one made him look lively. But he inadvertently signaled something else: The lines in the upper part of his forehead and raised lids make him look ever so slightly fearful -- not an emotion you want to suggest to others. Watch out for forehead wrinkles and overly wide eyes in your photos. 3. Winner! It’s clear and professional, and most important, it contains a squinch. That’s the word for when you slightly engage the muscles around your eyes. People like seeing squinches, because the gesture activates the same muscles used in a broad smile, which reminds us of genuine happiness. Interesting, right? I was delighted that the image showing the most skin did not win and relieved that the most “posed” photo lost. I thought the middle photo was the most boring, but I see why it won: It’s the one in which I’m trying the least to impress. I now use it for almost everything, including this column. And the big takeaway: Second opinions are useful! So before you pick your photo, get one -- if not from the internet masses, then at least a few truth-telling friends.